Growing up, my parents had a weekend cottage a couple of hours from Copenhagen. It was this red wooden cabin like straight from the Swedish woods. In the front yard was a completely oversized white bench. It was huge, as if built for giants. My sisters and I would put a chair next to it, climb up and sit there and play, feeling small and atop of everything at the same time. The bench was designed by a company called Trip Trap, and I’d always notice a similar one standing outside their Copenhagen showroom when passing by. Today, that company is named Skagerak, and besides being the top Scandinavian brand for outdoor pieces, they design indoor furniture, accessories, and textiles. As I hope these images showcase, e v e r y t h i n g they create is beautiful. Advocating a more sustainable design industry with responsibly produced and long-lasting items, Skagerak teams up with contemporary designers and create what I’d describe as classic Danish design with a modern twist. The showroom and store located in the Østerbro neighbourhood of Copenhagen also functions as the office for Skagerak, and I couldn’t help feel a bit envious of the employees who get to call this showroom their workplace. Imagine having your lunch break in the huge garden, perhaps a quick coffee in that sun room, and just enjoy the beautiful details of what used to be a post office dating back to 1900. All the while being surrounded by the stunning designs, of course. Basically, the showroom feels like visiting your (very stylish!) good friends. There's always a cup of coffee ready, and the staff here take the time to welcome you in a relaxed atmosphere. There’s no pressure which I sometimes feel in very beautiful showrooms; you’re more than welcome to stop by, even if you're not looking to splurge on the larger pieces of furniture. Simply browse through the collection of ceramics, coffee table books, or beautiful accessories for the kitchen, office and living room. 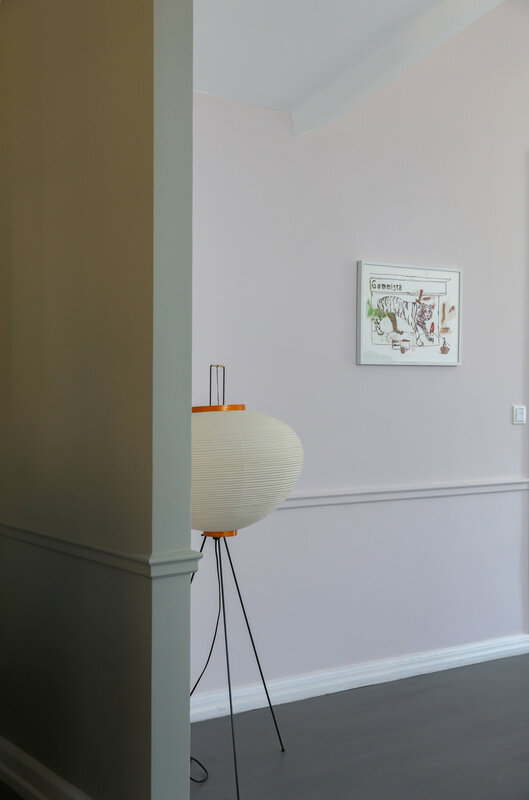 This space is truly inspiring—and every little thought out detail from the colours of the walls to the artworks and plants in terracotta pots in the corners will make you snap a couple of photos for inspiration, go back home and try to recreate that stylish yet laid-back Skagerak vibe. What I appreciate most about Skagerak is that all of their designs are created to last for generations. I love how the majority of wood used in production is sourced responsibly, securing that only the number of trees that the forest can reproduce are felled. And how many of the designs have multiple purposes—the daybed with a built-in magazine holder, cutting boards that also function as serving trays, or the Riviera Lounge for the garden, that is both a chair and table, a sofa or a large sunbed. Since the family-owned company was founded more than 40 years ago, they have designed a variety of pieces that have now turned into classics on the Danish design scene. Some of these are still standing in the garden of my parents’ summer house. The teak garden table and chairs were the first items they purchased for the house after saving up for them years ago. They have turned silvery grey over time, and are still incredibly beautiful. That oversized white bench has found another home, and perhaps some new kids to amuse. Hopefully, it will help them create sweet summer memories, and maybe one day spark an interest in long-lasting design in the future generations.